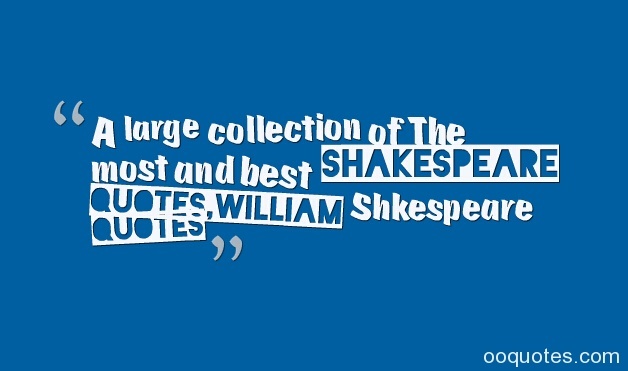 We collect all about shakespeare quotes,famous quotes by William Shkespeare,Maybe it's the best and the most William Shkespeare quotes compilations. all those William Shkespeare quotes come from internet, we had sorted those by index letter A – Z. ‘T’is neither here nor there. – shakespeare quotes (Othello Act IV, Scene III). A dish fit for the gods. – shakespeare quotes (Julius Caesar Act II, Scene I). A horse! a horse! my kingdom for a horse!. – shakespeare quotes (King Richard III Act V, Scene IV). A man can die but once. – shakespeare quotes (King Henry IV, Part II Act III, Scene II). All the perfumes of Arabia will not sweeten this little hand. – shakespeare quotes (Macbeth Act V, Scene I). An honest tale speeds best, being plainly told. – shakespeare quotes (King Richard III Act IV, Scene IV). And it must follow, as the night the day, thou canst not then be false to any man. – shakespeare quotes (Act I, Scene III). This is the very ecstasy of love. – shakespeare quotes (Act II, Scene I). As good luck would have it. – shakespeare quotes (The Merry Wives of Windsor Act III, Scene V). As he was valiant, I honor him; but, as he was ambitious, I slew him . – shakespeare quotes (Julius Caesar Act III, Scene II). Be not afraid of greatness: some are born great, some achieve greatness and some have greatness thrust upon them. – shakespeare quotes (Twelfth Night Act II, Scene V). Beware the ides of March. – shakespeare quotes (Julius Caesar Act I, Scene II). Blow, blow, thou winter wind! Thou art not so unkind as man's ingratitude. – shakespeare quotes (As You Like It Act II, Scene VII). But, for my own part, it was Greek to me. – – shakespeare quotes (Julius Caesar Act I, Scene II). Can one desire too much of a good thing?. – – shakespeare quotes (As You Like It Act IV, Scene I). Conscience is but a word that cowards use, devised at first to keep the strong in awe. – – shakespeare quotes (King Richard III Act V, Scene III). Cowards die many times before their deaths; The valiant never taste of death but once.Of all the wonders that I yet have heard, it seems to me most strange that men should fear;Seeing that death, a necessary end, will come when it will come. – – shakespeare quotes (Julius Caesar Act II, Scene II). Cry Havoc, and let slip the dogs of war. – – shakespeare quotes (Julius Caesar Act III, Scene I). Delays have dangerous ends. – – shakespeare quotes (King Henry the Sixth, Part I Act III, Scene II). Do you think I am easier to be played on than a pipe? – – shakespeare quotes (Act III, Scene II). Double, double toil and trouble; Fire burn, and cauldron bubble. – – shakespeare quotes (Macbeth Act IV, Scene I). Doubt that the sun doth move, doubt truth to be a liar, but never doubt I love. – – shakespeare quotes (Act II, Scene II). Everyone can master a grief but he that has it. – – shakespeare quotes (Much Ado About Nothing Act III, Scene II). For Brutus is an honourable man; So are they all, all honourable men. – shakespeare quotes (Julius Caesar Act III, Scene II). For ever and a day. – shakespeare quotes (As You Like It Act IV, Scene I). For you and I are past our dancing days . – shakespeare quotes (Romeo and Juliet Act I, Scene V). Friends, Romans, countrymen, lend me your ears; I come to bury Caesar, not to praise him. – shakespeare quotes (Julius Caesar Act III, Scene II). Good Night, Good night! Parting is such sweet sorrow, that I shall say good night till it be morrow. – shakespeare quotes (Romeo and Juliet Act II, Scene II). Have more than thou showest, speak less than thou knowest, lend less than thou owest. – shakespeare quotes (King Lear Act I, Scene IV). Having nothing, nothing can he lose. – shakespeare quotes (King Henry the Sixth, Part III Act III, Scene III). He hath eaten me out of house and home. – shakespeare quotes (King Henry IV, Part II Act II, Scene I). He will give the devil his due. – shakespeare quotes (King Henry IV, Part I Act I, Scene II). How bitter a thing it is to look into happiness through another man's eyes! – shakespeare quotes (As You Like It Act V, Scene II). 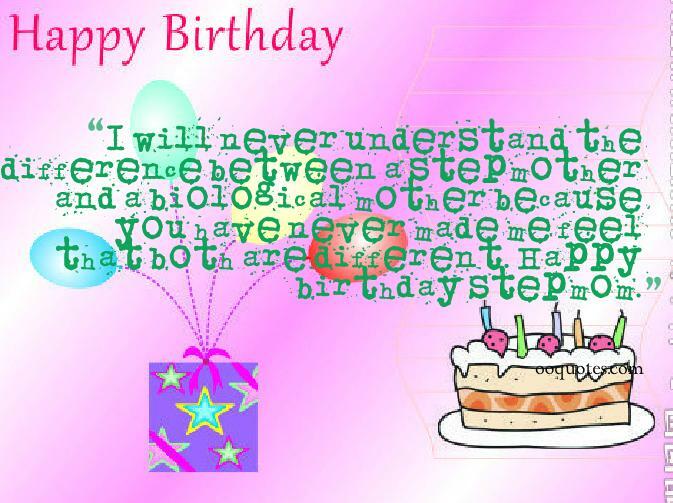 How sharper than a serpent's tooth it is to have a thankless child! – shakespeare quotes (King Lear Act I, Scene IV). I am a man more sinned against than sinning. – shakespeare quotes (King Lear Act III, Scene II). I bear a charmed life. – shakespeare quotes (Macbeth Act V, Scene VIII). I cannot tell what the dickens his name is. – shakespeare quotes (The Merry Wives of Windsor Act III, Scene II). I dare do all that may become a man; Who dares do more is none. – shakespeare quotes (Macbeth Act I, Scene VII). I do now remember the poor creature, small beer. – shakespeare quotes (King Henry IV, Part II Act II, Scene II). I have no spur to prick the sides of my intent, but only vaulting ambition, which o'erleaps itself, and falls on the other. – shakespeare quotes (Macbeth Act I, Scene VII). I have not slept one wink.. – shakespeare quotes (Cymbeline Act III, Scene III). I like not fair terms and a villain's mind. – shakespeare quotes (The Merchant of Venice Act I, Scene III). I like this place and willingly could waste my time in it – – shakespeare quotes (As You Like It Act II, Scene IV). I 'll not budge an inch. – shakespeare quotes (Taming of the Shrew Induction, Scene I). I will speak daggers to her, but use none. – shakespeare quotes (Act III, Scene II). I will wear my heart upon my sleeve for daws to peck at. – shakespeare quotes (Othello Act I, Scene I). If chance will have me king, why, chance may crown me. – shakespeare quotes (Macbeth Act I, Scene III). If you prick us, do we not bleed? if you tickle us, do we not laugh? if you poison us, do we not die? and if you wrong us, shall we not revenge?. – shakespeare quotes (The Merchant of Venice Act III, Scene I). In my mind's eye. – shakespeare quotes (Act I, Scene II). Is this a dagger which I see before me, The handle toward my hand? – shakespeare quotes (Macbeth Act II, Scene I). It seems she hangs upon the cheek of night like a rich jewel in an Ethiope's ear . – shakespeare quotes (Romeo and Juliet Act I, Scene V). Look like the innocent flower, but be the serpent under 't. – shakespeare quotes (Macbeth Act I, Scene V). Love looks not with the eyes, but with the mind, and therefore is winged Cupid painted blind. – shakespeare quotes (A Midsummer Night's Dream Act I, Scene I). Love sought is good, but giv'n unsought is better . – shakespeare quotes (Twelfth Night Act III, Scene I). Men at some time are masters of their fates: The fault, dear Brutus, is not in our stars, but in ourselves, that we are underlings. – shakespeare quotes (Julius Caesar Act I, Scene II). Men of few words are the best men . – shakespeare quotes (King Henry the Fifth Act III, Scene II). My love's more richer than my tongue. – shakespeare quotes (King Lear Act I, Scene I). My salad days, when I was green in judgment. – shakespeare quotes (Antony and Cleopatra Act I, Scene V). Neither a borrower nor a lender be; For loan oft loses both itself and friend, and borrowing dulls the edge of husbandry. – shakespeare quotes (Act I, Scene III). Not stepping o'er the bounds of modesty. – shakespeare quotes (Romeo and Juliet Act IV, Scene II). Not that I loved Caesar less, but that I loved Rome more. – shakespeare quotes (Julius Caesar Act III, Scene II). Nothing in his life became him like the leaving it; he died as one that had been studied in his death to throw away the dearest thing he owed, as 't were a careless trifle. – shakespeare quotes (Macbeth Act I, Scene IV). Now is the winter of our discontent. – shakespeare quotes (King Richard III Act I, Scene I). O Romeo, Romeo! wherefore art thou Romeo?. – shakespeare quotes (Romeo and Juliet Act II, Scene II). O! she doth teach the torches to burn bright. – shakespeare quotes (Romeo and Juliet Act I, Scene V). Of all base passions, fear is the most accursed. – shakespeare quotes (King Henry the Sixth, Part I Act V, Scene II). Off with his head! – shakespeare quotes (King Richard III Act III, Scene IV). Our doubts are traitors, and make us lose the good we oft might win, by fearing to attempt. – shakespeare quotes (Measure for Measure Act I, Scene IV). Out, damned spot! out, I say! – shakespeare quotes (Macbeth Act V, Scene I)..
Rich gifts wax poor when givers prove unkind. – shakespeare quotes (Act III, Scene I). See, how she leans her cheek upon her hand! O that I were a glove upon that hand, that I might touch that cheek!. – shakespeare quotes (Romeo and Juliet Act II, Scene II). Small things make base men proud. – shakespeare quotes (King Henry the Sixth, Part II Act IV, Scene I). So wise so young, they say, do never live long. – shakespeare quotes (King Richard III Act III, Scene I). Suspicion always haunts the guilty mind; The thief doth fear each bush an officer. – shakespeare quotes (King Henry IV, Part III Act V, Scene VI). Tempt not a desperate man. – shakespeare quotes (Romeo and Juliet Act V, Scene III). That it should come to this!. – shakespeare quotes (Act I, Scene II). The better part of valour is discretion. – shakespeare quotes (King Henry IV, Part I Act V, Scene IV). The devil can cite Scripture for his purpose. – shakespeare quotes (The Merchant of Venice Act I, Scene III). The first thing we do, let's kill all the lawyers. – shakespeare quotes (King Henry the Sixth, Part II Act IV, Scene II). The fool doth think he is wise, but the wise man knows himself to be a fool. – shakespeare quotes (As You Like It Act V, Scene I). The game is up. – shakespeare quotes (Cymbeline Act III, Scene III). The king's name is a tower of strength. – shakespeare quotes (King Richard III Act V, Scene III). The lady doth protest too much, methinks. – shakespeare quotes (Act III, Scene II). The miserable have no other medicine but only hope. – shakespeare quotes (Measure for Measure Act III, Scene I). The play 's the thing wherein I'll catch the conscience of the king. – shakespeare quotes (Act II, Scene II). The robbed that smiles steals something from the thief. – shakespeare quotes (Othello Act I, Scene III). The smallest worm will turn, being trodden on. – shakespeare quotes (King Henry IV, Part III Act II, Scene II). The world is grown so bad, that wrens make prey where eagles dare not perch. – shakespeare quotes (King Richard III Act I, Scene III). The worst is not, So long as we can say, 'This is the worst.' . – shakespeare quotes (King Lear Act IV, Scene I). There 's daggers in men's smiles. – shakespeare quotes (Macbeth Act II, Scene III). These words are razors to my wounded heart. – shakespeare quotes (Titus Andronicus Act I, Scene I). This is the short and the long of it. – shakespeare quotes (The Merry Wives of Windsor Act II, Scene II). This was the noblest Roman of them all. – shakespeare quotes (Julius Caesar Act V, Scene V). Though this be madness, yet there is method in 't.. – shakespeare quotes (Act II, Scene II). True is it that we have seen better days. – shakespeare quotes (As You Like It Act II, Scene VII). True nobility is exempt from fear. – shakespeare quotes (King Henry the Sixth, Part II Act IV, Scene I). Uneasy lies the head that wears a crown. – shakespeare quotes (King Henry IV, Part II Act III, Scene I). We have seen better days. – shakespeare quotes (Timon of Athens Act IV, Scene II). What a piece of work is man! how noble in reason! how infinite in faculty! in form and moving how express and admirable! in action how like an angel! in apprehension how like a god! the beauty of the world, the paragon of animals! . – shakespeare quotes (Act II, Scene II). what 's done is done. – shakespeare quotes (Macbeth Act III, Scene II). What 's gone and what 's past help should be past grief . – shakespeare quotes (The Winter's Tale Act III, Scene II). When shall we three meet again in thunder, lightning, or in rain? When the hurlyburly 's done,When the battle 's lost and won. – shakespeare quotes (Macbeth Act I, Scene I). When sorrows come, they come not single spies, but in battalions. – shakespeare quotes (Act IV, Scene V). When that the poor have cried, Caesar hath wept: Ambition should be made of sterner stuff. – shakespeare quotes (Julius Caesar Act III, Scene II). Why, then the world 's mine oyster – shakespeare quotes (The Merry Wives of Windsor Act II, Scene II). Will all great Neptune's ocean wash this blood clean from my hand? No, this my hand will rather the multitudinous seas incarnadine, making the green one red – shakespeare quotes (Macbeth Act II, Scene II). Wisely and slow; they stumble that run fast. – shakespeare quotes (Romeo and Juliet Act II, Scene III). Yet do I fear thy nature; It is too full o' the milk of human kindness. – shakespeare quotes (Macbeth Act I, Scene V). Yond Cassius has a lean and hungry look; He thinks too much: such men are dangerous. – shakespeare quotes (Julius Caesar Act I, Scene II). You pay a great deal too dear for what's given freely. – shakespeare quotes (The Winter's Tale Act I, Scene I).